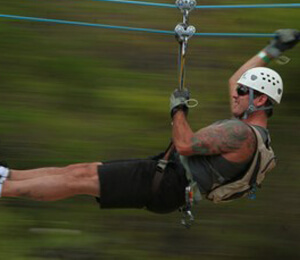 Zip line tours are becoming one of the most popular activities in various vacation destinations around the world. These tours send you out to the middle of lush, dense forests and other natural environments to experience some of the most exciting and unforgettable thrills of your life. Most of these tours feature a series of cables, anywhere from 100 to over 1,000 feet in length. Riders are strapped onto harnesses and are then sent zooming down the cable line, hundreds of feet above the jungle ground and often times above the forest canopy. Join us for the ultimate Cabo San Lucas experience adventure and fun! Our Canopy Zipline Tour takes you out to the beautiful desert and mountainous environment of the Costa Azul where you and your friends will be able to enjoy the thrills of zip lines and rappels and then learn about local culture at the Restaurant Los Agaves and our Tequila Tour of Don Crispin. 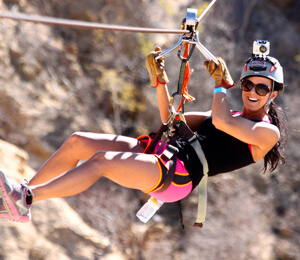 Get all the thrills and excitement of Cabo San Lucas in our one of a kind Monster Zip Line! 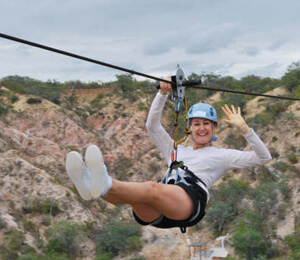 Join Cabo's newest attraction at the EkoPark and experience the longest zip line in Los Cabos. Don't miss out on this exciting and unique adventure! The Outdoor Canopy Adventure has it all--fun, adventure, nature, and tasty food! This 3 hour trip on the longest and fastest Zipline in Cabo San Lucas is an unforgettable adventure filled with limbing on a natural rock wall, suspended bridges, rappelling off a cliff, crazy ladders, and taking in all that nature has to offer in the pristine region of Los Cabos.